Not to be messed with. Has technology gone too far? The iPod has replaced my CD player, my datebook, my calculator, my remote control, my radio, and my alarm clock. My iPad has replaced my newspaper, much of my library, and my laptop for a good portion of my surfing. I am a huge technophile, but everyone has their limits, and today, I am sorry to say, I reached my limit. The tag-team of the iPod and iPad have joined forces to replace something near and dear to my heart: a replacement so diabolical that it almost makes me want to renounce all things digital and take up with the Amish I see every day on my way to work. Sure, the life is hard, but it beats the evil that has been done to something so dear to my heart. The company Amidio has created a dual app that uses the iPad and the iPod to create a ‘virtual’ ukulele. 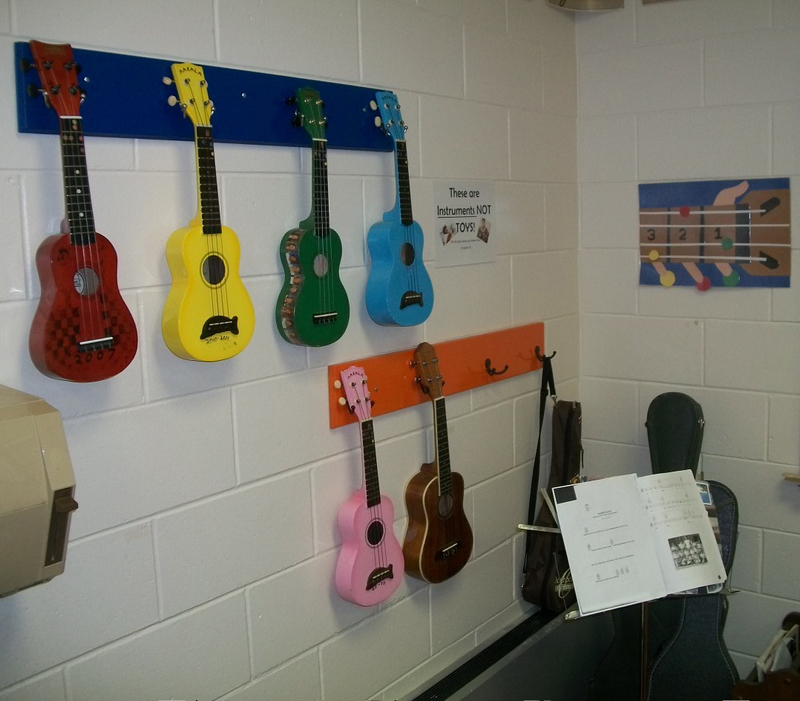 I have seven ukuleles in my classroom (with an eighth one on the way; this one hunter orange). A group of students meets three times a week to practice. And now this? I feel like a candlemaker who has seen his first lightbulb. For shame.